Rode NTG3 vs NTG4+: Which of these Shotgun Mics is Good for Videographers? In this post, let me compare Rode NTG3 and NTG4+ shotgun mics. This post will be geared towards videographers. With so many mic choices online, it’s quite hard to make a right choice. Making a right choice is very important when spending good money for a one-time purchase. After reading this post, hopefully, you’ll be able to make a right decision. Rode NTG3 is a shotgun mic. This mic’s box comes with accessories like standard mic adapter, later carrying case, foam windshield and also aluminum carrying case that is weather resistant. It also comes with Rode RM5 mic clip. This clip is very tight, something that they need to look into. The NTG3 mic is solidly built. There are no switches or buttons on the mic, and it is a very simple mic. On the other hand, NTG4+ comes with foam windshield, a mic clip, a leatherette pouch, and the plus version with also micro USB charging cable to charge lithium battery (150 hours runtime). It also has various controls and buttons like high-frequency boost option, high pass filter button (useful for cutting out wind noise), -10dB pad for recording loud sound sources like in parties, concerts, etc. Some of these mics don’t come with a cable, that means it’d be hard for you to use the mic out of the box. Make sure that the package is with cable included or buy one separately. NTG3 mic’s sound quality is good for the price. The sound profile is balanced, and it is really a quiet mic. The self-noise of the mic is quoted at 13 dB-A which is quite astonishing. The mic also does a great job of rejecting radio interference noise that may come from your devices like smartphones. NTG4+ has a slightly better audio quality, due to the fact that it is good at rejecting off-axis sounds than the NTG3. It also has all the features like balanced sound profile, rejection of interference, etc. The low cut switch in NTG4+ really helps in cutting off the wind noise while recording substantially. The sound is balanced and crisp with good bass. As with all the mics, the sound quality entirely depends upon the proximity of the mic to your mouth. You need to find an ideal distance so that the best sound quality kicks in. These mics are suited for outdoors, in indoors these mics are prone to echos as the pickup pattern is narrow, especially if your room is not treated and empty. The NTG3 comes with a max sound pressure level (SPL) of 81dB and the NTG4+ with 135dB. Which means that the NTG4+ will have easy time recording loud sound sources without distortion. This combined to -10dB pad on NTG4+ really suits for concert videographers. The pickup pattern of the Rode NTG3 is pretty wide considering it to be a shotgun mic. The pickup pattern is wider than the NTG4+ for that matter. When shooting videos, you’ll be able to pick up the chirping of birds or cars in the background to some extent. It has a super-cardioid pickup pattern like most of the entry-mid range shotgun microphones. Now as more people are using their iPhones or Android for shooting videos, you need to choose the mics that works well with them. The NTG4+ offers more narrow pickup and more back-side rejection, which is quite good for outdoors where you have little control over the things that are happening in the background. Both of these mics have a super-cardioid pickup pattern which lies between cardioid and hypercardioid mode. 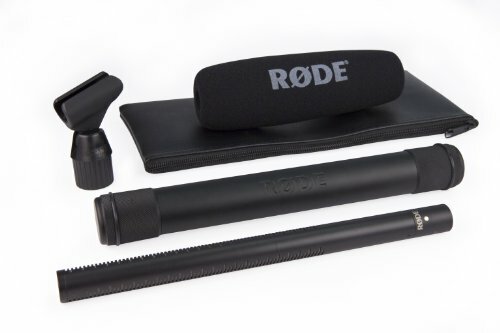 The Rode NTG3 is a condenser mic, which needs 48-volt phantom power. It does not come with XLR cable or mount, you need to buy these separately. But the NTG4+ comes with lithium rechargeable battery that can be used for 150 hours on a single charge. This very helpful for long outdoor videography. As NTG4+ also comes with SUB cable, you can easily drive these by using your computer or other USB devices. This is really great. 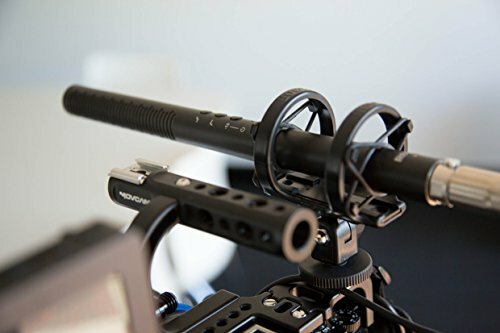 It also comes with XLR connector for connecting to more professional audio recorders like Zoom H4N or Tascam DR-40. I would not recommend you to plug the mic directly to the camera, as the camera has a weak preamp that causes some hiss noise often. Unless you have a mic with inbuilt boost option, you shouldn't be using the mic directly with DSLR if you care about sound quality. Do choose the best mic for your requirements. I would choose Rode NTG4+ over NTG3, because of the versatility and also the battery life it offers. Both these mics come with 1 year of warranty. If you go ahead and register your mic on Rode’s website you get a 10-year warranty which is actually great. Hope you found this Rode NTG3 vs NTG4+ review helpful.